History: Joe and Debbie moved to Arizona from Pennsylvania shortly after being married in 1977. Even though the climate and landscape of Arizona represent quite a change of scenery, it did not take them long to realize the beauty of the desert. In no time, Debbie and Joe were enjoying hiking, biking, and year-round camping in their free time. Within three years Joe and Debbie had discovered their calling in Casa Grande. Debbie entered real estate in 1980, and Joe joined her in 1983. Their warmth with clients and a commitment to hard work soon combined for tremendous success. 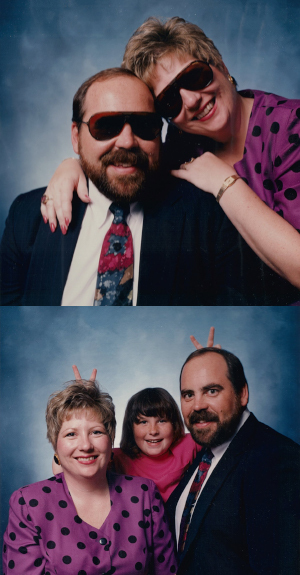 By 1995, they purchased their own RE/MAX franchise and began building their team. They hired one licensed assistant and a part-time administrative assistant and focused on providing superior customer service. That first year, they closed 127 units. In 1999, they closed 303 units and won the award for the #1 RE/MAX Team in Arizona for number of units closed—and their team continues to win awards nationally, including being recognized as one of the Top 250 US Team for number of transactions nine times, six of them consecutively. Business: Joe and Debbie understand that their current success in a small market has as much to do with working on their business, as well as working in their business. Therefore, they and their team attend seminars, classes, and workshops regularly. Staying ahead of their competition and on the cutting edge of technology is key. Since opening their local office, they have added several buyer specialists, listing specialists and increased their administrative staff to continue to provide superior customer service. They have developed unique selling points including their moving truck and client perks programs. Hobbies: Debbie’s backyard is her sanctuary; filled with wind chimes, a small fishpond, a pool, a BBQ and a large raised garden where she grows great vegetables. Debbie often enjoys quiet time gardening, crafts, playing the piano and especially playing with her grandson. When she is not relaxing at home, Debbie loves spending time at their second home in the Lakeside-Pinetop or escaping to spas. Joe enjoys mountain biking over the beautiful terrain and mountains of Casa Grande and other areas of Arizona, such as Pinetop and Showlow. He also takes his mountain bike along when attending seminars and workshops outside of Arizona. Be sure to visit Joe and Debbie’s “Meet Our Team” page to do just that—meet Yost Realty Group!